Pretty in Pink! 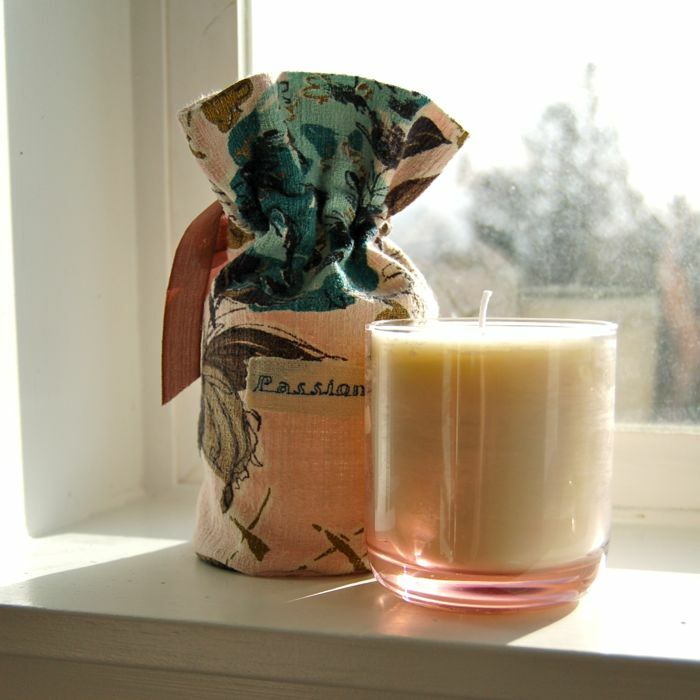 Lovely vintage candle featuring Dark Chocolate Passion fragrance—now comes in a wonderful (and one of a kind) vintage textile bag. Made from vintage barkcloth from the 1940’s and accented with a bit of “passion” in linen. Drawstring close and perfect for storing your candle when it’s not in use. . . or some other treasure you’re passionate about. And stay tuned! Mireio’s Spa Tumblers will be getting a special touch too. . . very soon!